Faction Projects is proud to introduce The Dale Trailside Commons, a thoughtfully designed townhome neighbourhood located in Lake Country B.C. Situated on the Rail Trail and Wood Lake, surrounded by vineyards and on the edge of Kelowna, The Dale captures the essence of Okanagan living. Our homes feature 3 bedrooms and 3 bathrooms with expansive kitchens and living spaces created for the modern lifestyle. Design at The Dale embraces Okanagan summers with easy transition from open concept, contemporary interiors to private rooftop patios made to take in the beautiful views of the Okanagan Valley. The Dale Trailside Commons features 42 beautifully designed townhomes in Lake Country, B.C. Residents of The Dale will benefit from a traditional townhouse layout, with a modern twist. 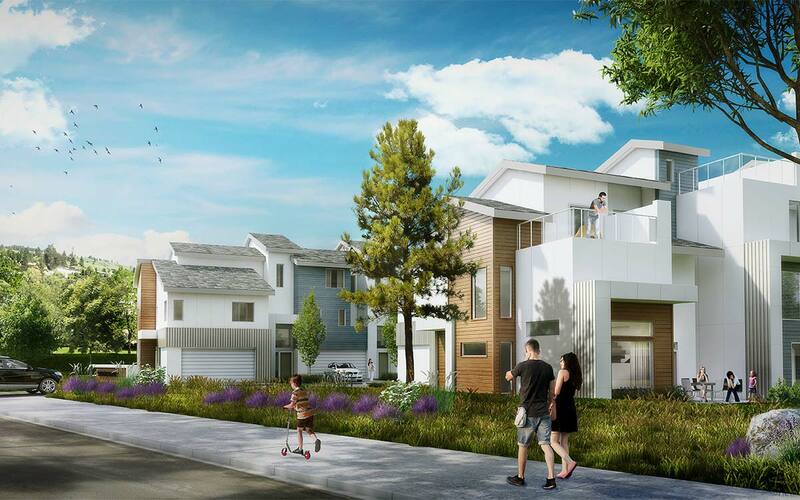 All homes are thoughtfully designed with 2 car side-by-side garage, rooftop living spaces and 3 bedrooms. Outdoor areas balance shared common spaces with private enclosed yards off each home. It’s time to live the Okanagan Lifestyle. With just about everything at your fingertips at The Dale, your outdoor adventure opportunities are endless. 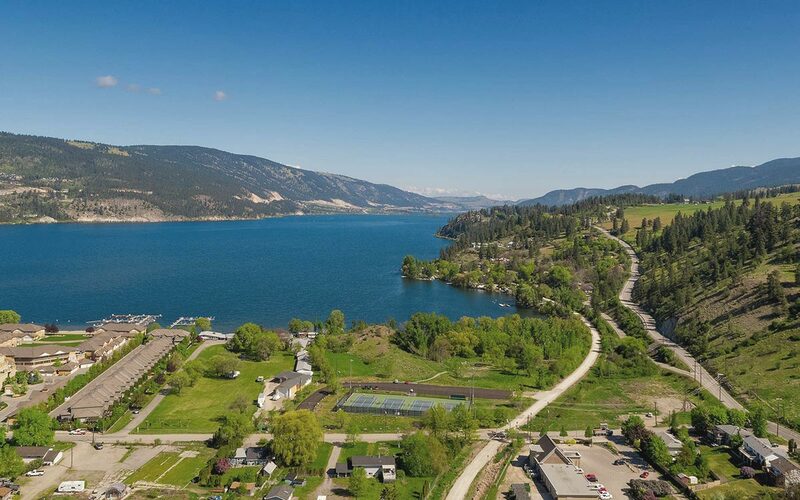 The Okanagan Rail Trail is just beyond your private gated backyard, Wood Lake is a short bike ride away and the hustle and bustle of downtown Kelowna is a short 20 minute drive south. The Dale is right in the heart of things to make your active lifestyle dream a reality. Stay informed with the latest details and information on this new development. Download The Dale brochure to get the big picture. 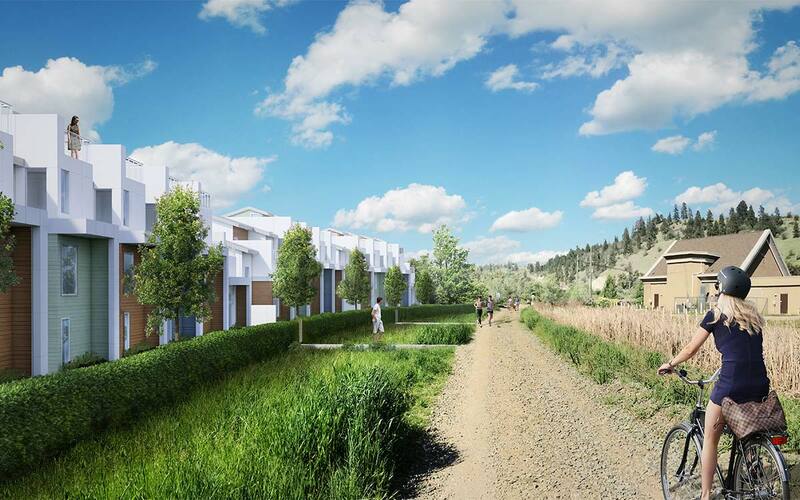 Faction Projects is proud to introduce The Dale Trailside Commons, a thoughtfully designed town home neighbourhood located in Lake Country B.C. 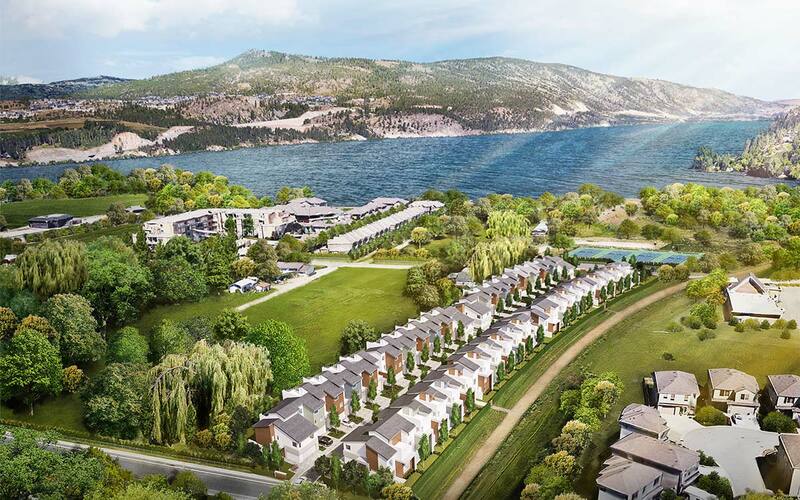 Situated on the Rail Trail and Woods Lake, surrounded by vineyards and on the edge of Kelowna, The Dale captures the essence of Okanagan living. © 2018 The Dale. Website Design by Roketto. Branding & Renderings by Neilson Digital. © 2019 The Dale. Website Design by Roketto.